A Maryland player tries to makes contact with the ball. 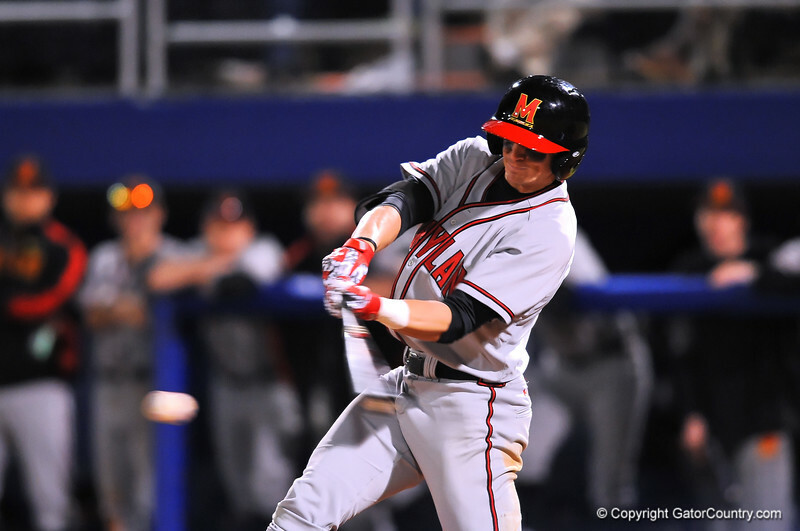 Florida Gators vs Maryland Terrapins. Feb 14th, 2014. Gator Country photo by David Bowie.